2019 Azimut Atlantis 51- Just arrived, painted in Beautiful Urals Grey Metallic with twin Volvo IPS 800s, SeaKeeper Gyro and 3 cabins that sleep 6 people. Original factory Options include: Advance Package (Miele Appliances, Lifting Platform, Garage w Electric Winch, Windlass Chain Counter at Main Helm, Electric Searchlight, Bow Thruster, Electric Cockpit Winches, Dual Racor Filters, Hauling/Launching System for Tender and Covers for Exterior), Auto Dynamic Trim, Designer Cabinet in dinette, Washe/Dryer in lower lobby, Painted Hull and Hardtop in Urals Grey Metallic Accent, Maintenance Free Estech Flooring in cockpit, on swim platform and side decks, Manual Bimini Top Sunshade on bow, Stainless Steel Anchor, Raymarine Platinum Package, Two Pop Up LED Lights on Bow high/low, Complete AV Package with DSS SAT TV System, Dimmer Switches on lower deck, Wooden Floor at dinette and galley, SeaKeeper Stabilizer NG6, Dynamic Positioning System (Skyhook) with Joystick, Safe in master cabin, Set of Linen for cabins, Refrigerator /Freezer in cockpit, Glendenning Cablemaster, Cockpit Table with Electric High/Low feature, Raymarine Thermal Nightvision Camera M132, Aft Scenic Lights, Dual Bucket Seats at helm, Two Cockpit Chairs wit Armrests, Exterior Cushions Upgrade to Batyline, Bow Sunbathing Cushions, Icemaker in Cockpit and Foldable Barbeque on Transom. 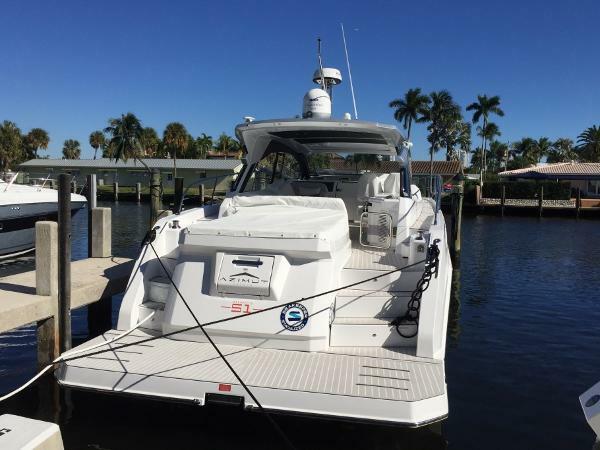 Includes Azimut Peace of Mind 3 Year Warranty. Call for details. Easy to see at our dock in Huntington NY. Call for an appointment and showing today. "Distinctive design and a DNA which speaks of pure open sporting heritage, this is the choice for those who embrace the open air but don’t expect to compromise on comfort indoors. 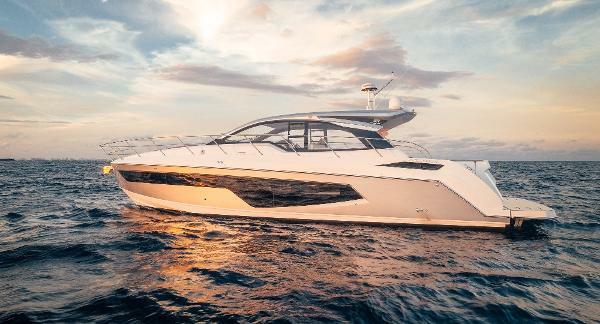 The innovative layout allows for three spacious cabins, a galley and dinette."